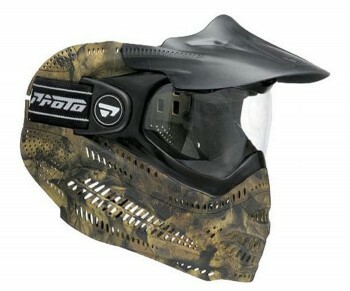 Proto Switch E.L. Anti Fog Single Paintball Goggles - Woodland Camo. 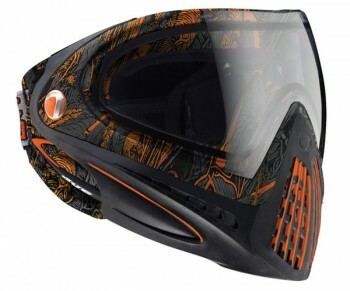 Features: Deluxe woven goggle strap for comfort and durability. 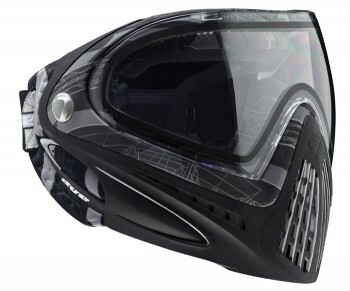 The Switch EL goggle system has the same great features as the FS system (above), but is slightly different in its design. 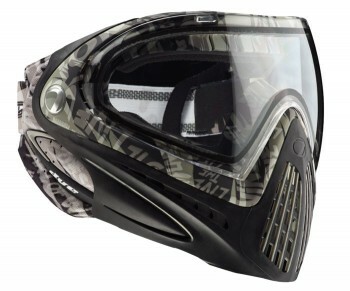 The EL system comes standard with a solid one-piece face mask and a single pane fog resistant lens. 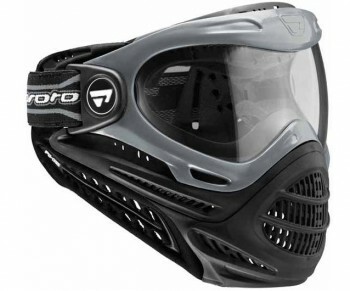 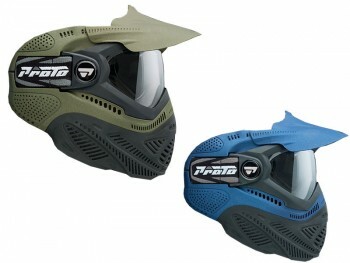 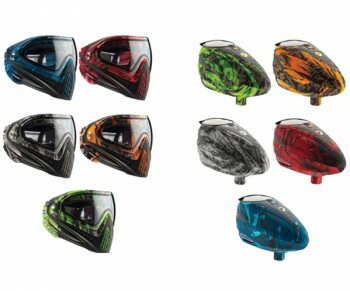 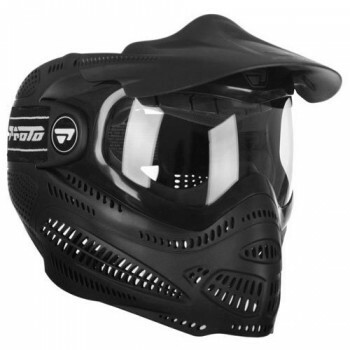 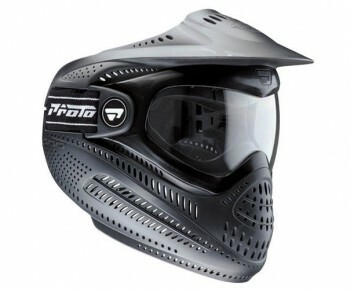 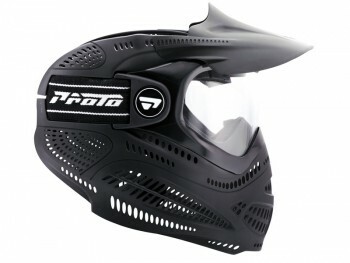 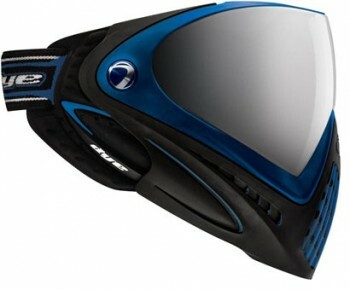 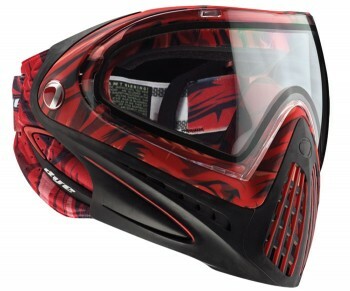 Paintball Goggles made by Dye Proto Switch FS. 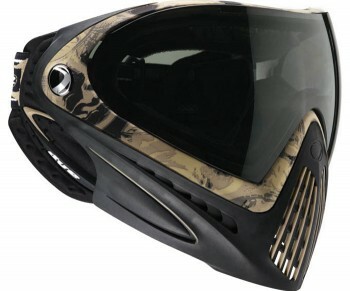 Changing thermal lenses has never been easier.MAKE THE SWITCH.